N-3 Polyunsaturated Fatty Acids and Atrial Fibrillation: Friend or Foe? 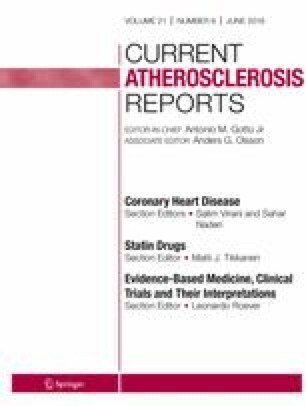 Recently, two randomized controlled trials (RCTs) on long-chain n-3 polyunsaturated fatty acids (n-3 PUFAs) or their derivatives and cardiovascular risk have been published [1, 2]. The REDUCE-IT trial found that the icosapent ethyl of eicosapentaenoic acid (EPA) (4 g) reduced the primary endpoint (cardiovascular death, nonfatal myocardial infarction, nonfatal stroke, coronary revascularization, or unstable angina) but increased atrial fibrillation (AF) incidence . By contrast, the VITAL Trial reported that no significant benefit of EPA (460 mg) and docosahexaenoic acid (380 mg) on their primary composite endpoint (cardiovascular death, myocardial infarction, stroke), but did not report on AF events . Previously, our meta-analysis of ten RCTs found that n-3 PUFAs did not protect against incident or recurrent AF . In real-world settings, a meta-analysis of seven prospective cohort studies also found no protection of n-3 PUFAs against AF development . Yet, the Cardiovascular Health Study associated higher levels of n-3 PUFAs and a lower incidence of AF . Given these conflicting findings, more detailed studies are needed to determine whether fatty acid supplements can effectively prevent AF . Experimental studies in animal models can provide insights as to whether n-3 PUFAs can reduce inflammation  and atrial fibrosis that serves as the substrate for fibrillation . Real-world studies and RCTs will need to assess baseline red cell and plasma levels of n-3 PUFAs, omega-3 index, and their relationships to AF as a primary endpoint. Gary Tse, Leonardo Roever, and Tong Liu declare no conflict of interest.